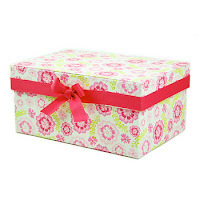 Pretty Storage Boxes only $4 + 10% Off or Free Shipping! 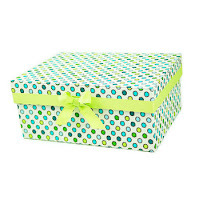 Right now at Totsy you can get pretty storage boxes for only $4 or $5. This regularly cost $12-$15! These would make great photo or memento boxes. These aren't small boxes either...the small ones measure in at 11.5x8x5.5, so don't think they're teeny tiny because of the price! If this is your first Totsy purchase, you'll even receive free shipping! If you're not a new shopper, you can use the code couponcabin to save 10% on your entire order.